Before I had a daughter, I didn't know I would be that mom that really liked to dress my daughter up in cute girly clothes! I still am not a fan of pink but I have found so many other cute girly outfits in other pretty colors! My favorite thing to put on my daughter is headbands and I love to find the perfect headband for every one of her outfits! Lately, I have been getting help on accessorizing my daughter from My Little Legs. My Little Legs is known for its wide assortment of baby leg warmers and matching accessories. With over 150 styles available at affordable prices its no wonder it is one of the fastest growing online children's clothing brands! They are most well known for their cute leg warmers, but they have also expanded into other product lines including hair bows, hats, bibs, and blankets. They love to include funky, vibrant colors in their collection and they also love the soft, classic baby look too. I received some really super cute items from My Little Legs that my daughter loves (and least that I what I like to think!) and I love definitely putting on her and taking lots of pictures of! My daughter wearing the white sequin headband with white bow. My favorite item (and most used!) is the 10 Sequin headbands and set of 4 Periwinkle Bows that I received! I put my daughter in a different color almost everyday and the bows are so easy to clip on any headband or on her hair (when she gets some!). 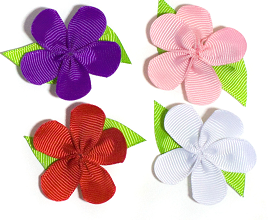 The 4 Flower clip bows come in Purple, Red, Pink, White and are attached to a lead-free snap clip. I love the great variety of colors that come in the headband set - I have been able to match one with every outfit she owns now! My daughter in her Christmas dress with the black headband. I also received two super cute hats: Turquoise & Brown Owl Hat and the Red Polka Dot Sun Hat. 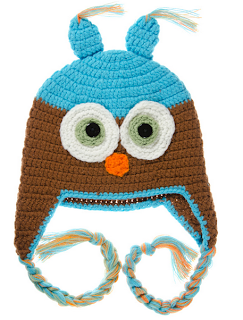 I have gotten so many compliments on how cute the Owl hat is and it is nice and soft and keeps my daughter's (hairless) head warm this winter. 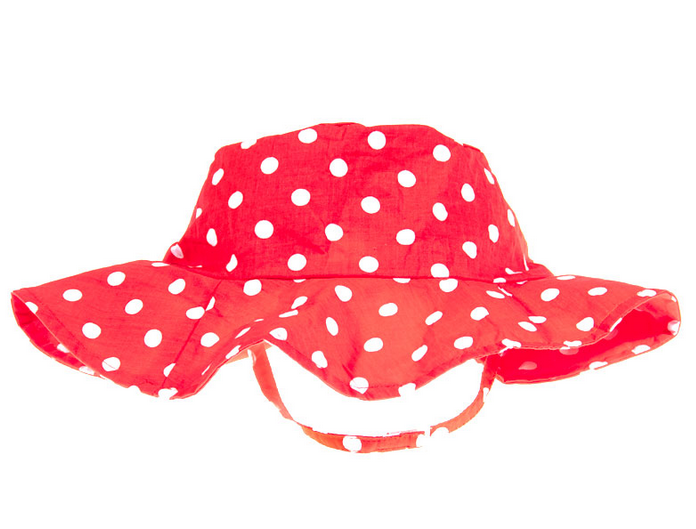 The sun hat will be perfect for this coming summer to wear outside to keep the sun out of her eyes! I love how girly and cute it is! Win It: My Little Legs is generously offering (1) $50 gift certificate to a lucky winner!